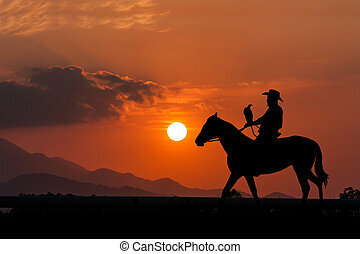 Cowboy silhouette and sunset sky. 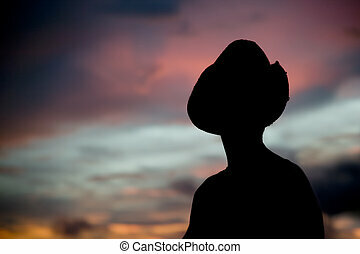 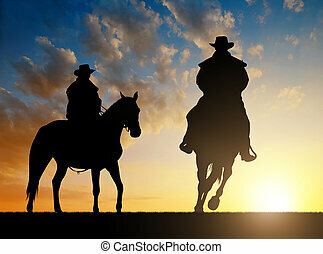 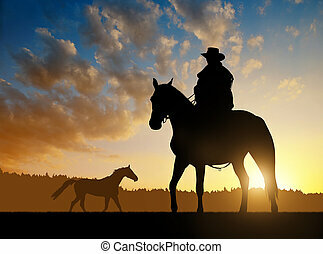 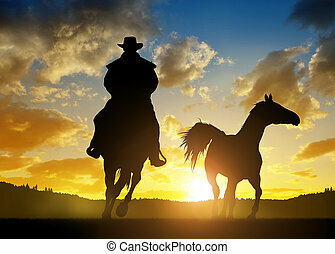 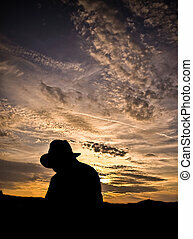 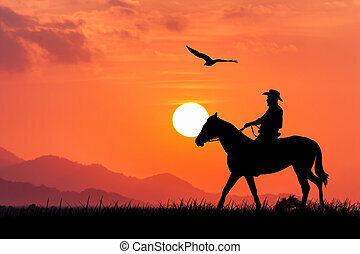 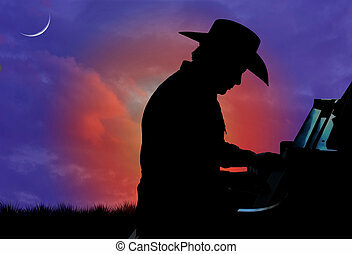 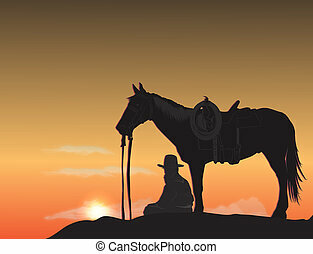 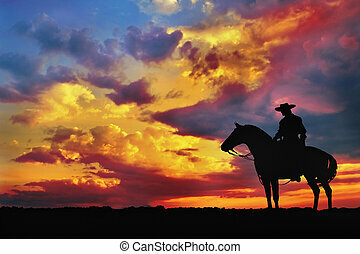 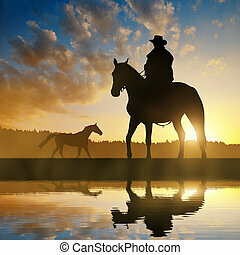 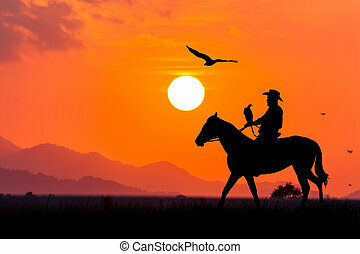 Silhouette of a cowboy against a bright and colorful sunset sky - high contrast. 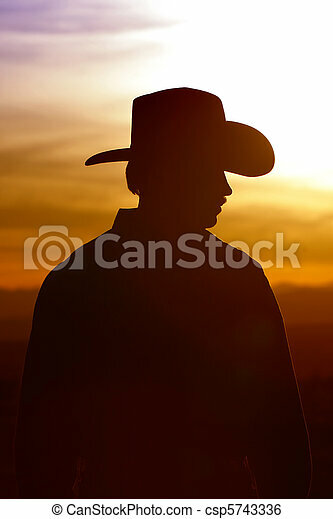 Silhouette of a cowboy against a bright and colorful sunset sky - high contrast. 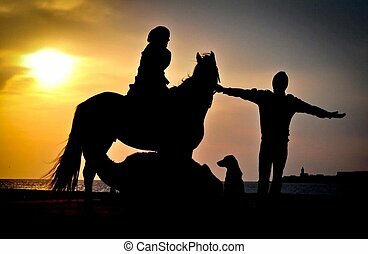 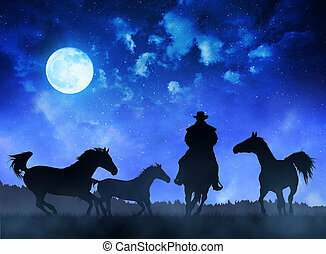 Silhouette cowboy wit horses at night sky with moon. 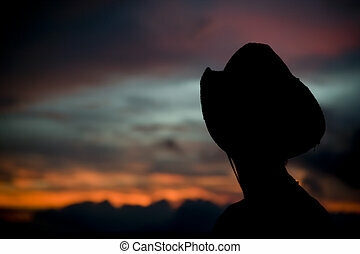 Woman in a cowboy hat silhouetted against a colorful sunset sky.